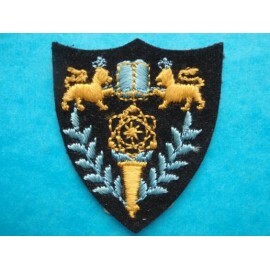 Coloured embroidery on light blue wool backing. 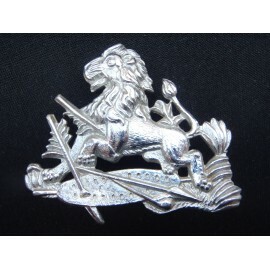 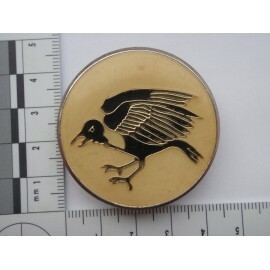 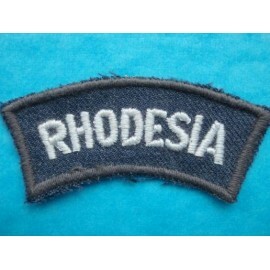 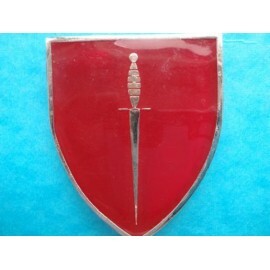 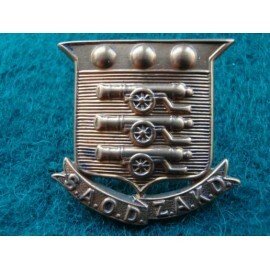 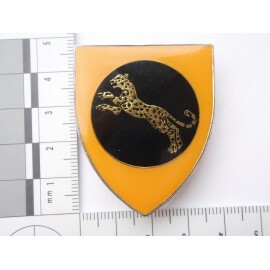 Rhodesian British South African Police Helmet badge , Chrome plated heavy badge worn 1949-71, long rear loop fixings. 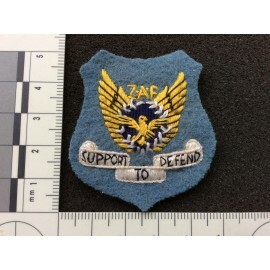 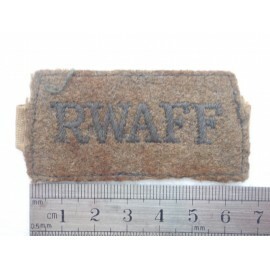 WW2 Slip-on R.W.A.F.F shoulder title. 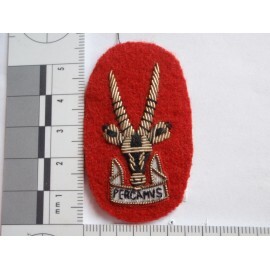 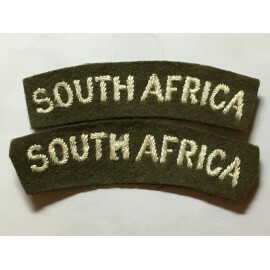 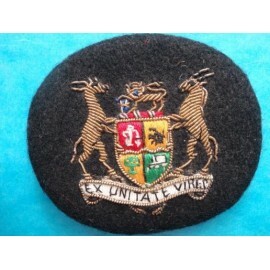 Royal West African Frontier Force cloth shoulder title, normal service wear. 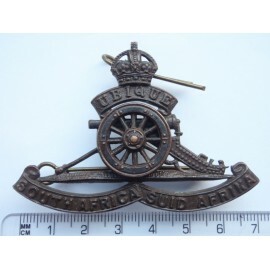 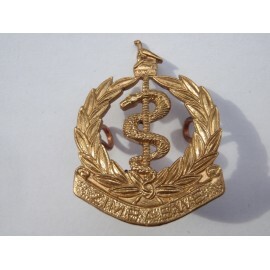 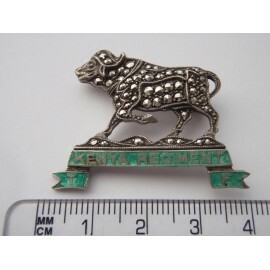 Zimbabwe Army Medical Corps Cap Badge, gilded metal, not sure rear loops have been re-affixed or this is how it was made.